Infancy — security: How can I help my child feel more secure? Toddlerhood — independence: How can I help my child feel more in control? Early childhood — participants in the larger society: What can I do to help my child feel more grown up? Elementary school — competence: How can I help my child feel more capable? Early adolescence — intellectually and emotionally separate person: How can I help my teenager feel more independent? Late adolescence — identity: How can I help my adolescent understand himself or herself better? from being the absolute focus of your child’s life to being one of many people your child cares about. controlling your child’s life for him to helping him learn how to control it for himself. trying to shape who your child is to allowing your child to be her own person. Joint problem solving. This is the preferred method; collaboration. “Joint problem solving avoids having winners and losers, helps your child to feel more grown up, teaches something about the benefits of cooperation, and makes it less likely that the issue will come up again int he future, because when it works, it leads to a more lasting solution. SHOULD CHILDREN BE PUNISHED? There are only three basic ways to get your child to change his behavior: punish, reward, or explain.” (143) “The important question about punishment, or about almost any disciplinary technique, for that matter, is not whether the technique should be used, but when and how.” (144) “There are many ways to punish a child, and they all fall into one of two categories. THE RIGHT WAY TO PUNISH. “Effective punishment needs to include five elements, usually in the following order. An identification of the specific act that was wrong. A statement describing the impact of the misbehavior. A suggestion for one or more alternatives to the undesirable behavior. A clear statement of what the punishment is going to be. For children under 6, your explanation needs to be reasonable. For children between 6 and 11, your explanation needs to be reasonable and logical. I just don’t have the words to say how thankful I am that I ran into this book. While much of this seems to be “duh,” pretty much each one of these principles is absent in one way or another in many of the parents I work with. While many may have contentions with some principles (especially the corporeal punishment piece), it is absolutely necessary, for the deeply important task of child-rearing, that we all seriously consider the studies, the principles, the suggestions, exhortations, etc. Please pass this on, get the book if you like, and don’t wait until your child is a teenager. Read it now. Highly recommended for all parents, teachers, coaches, and any other youth workers. 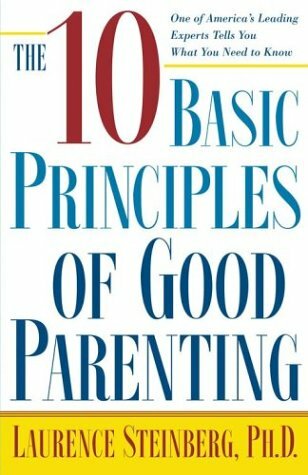 Basic Principles of Good Parenting | Notes & Review � vialogue. they are left by brain dead individuals? 😛 And, if you are posting on additional social sites, I’d like to follow everything new you have to post. Could you post a list of the complete urls of your public sites like your twitter feed, Facebook page or linkedin profile? This is awesome. Thanks for taking the time to pull out key insights and quotes! I enjoyed this and what is funny it sounds like me when I give free parenting classes in my community, keep up the good work!! such giving us a big treasure.. khajana..
Best wishes for ur further great deed..